Mark your calendars now and enjoy this SoWal holiday extravaganza with the whole family! Santa will be in WaterColor Town Center with falling snow, horse-drawn carriage rides, s’mores, luminaries and the most beautiful Christmas tree on 30A (we think!). 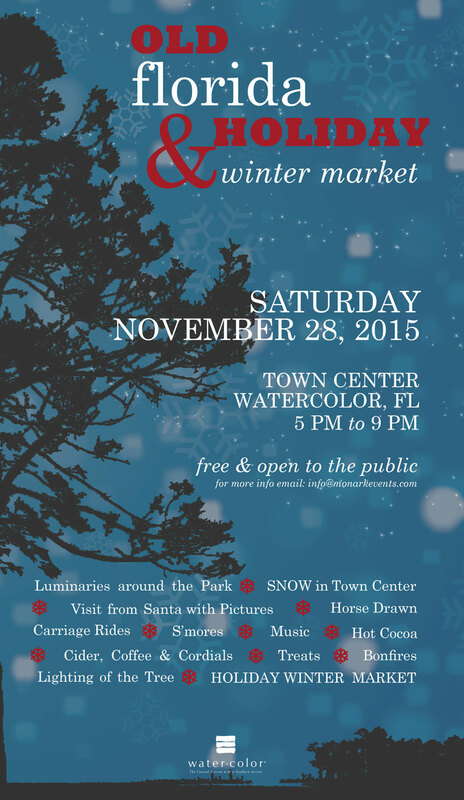 You won’t want to miss this fun holiday event, held every year the Saturday after Thanksgiving. Enter to win a deluxe weekend package to the 4th annual 30A Songwriters Festival, courtesy of Nashville Lifestyles Magazine, WaterColor Inn & Resort, The Blue Giraffe and Folk Artist Alan Moore! are you aware of fastunlocker frp bypass apk free download?? In case of downloading the apk record, you can take after rest of the well ordered guide on the best way to bypass FRP utilizing the application you’ve recently downloaded. In case you’re having any issues downloading the application apk or bypassing the Google account, don’t hesitate to tell us in the remark segment. Songwriters from around the country will gather in South Walton along Scenic Highway 30A for this premier songwriters festival January 18-20, 2013. Presented by Visit South Walton and produced by the Cultural Arts Alliance of Walton County, the three-day festival features more than 120 musicians and over 200 performances in venues ranging from intimate listening rooms to spacious outdoor amphitheaters nested along the beautiful, white-sand beaches of Florida’s Gulf Coast.